When you are ready to make a payment it’s just a simple click away. Use PayPal, Visa, Debit or Master card. What you see is what you get and nothing less. There is nothing up my sleeve and everything you see is included. You are probably on vacation and the last thing you need is stress. You can count on me. I do what I say and say what I do. All Packages Include: Fun! Unlimited images per session. Images color and level enhanced. You own your images (copyright free). A beautiful online gallery. Social media sharing. Gallery download directly to your computer and mobile phone. High resolution digital files. 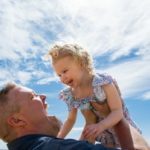 What do Cabo Family Photography customers have to say? Love, love, love our photographs. 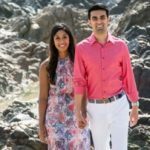 We’ve worked with 3 dozen photographers – between wedding, baby photographers, etc. you were our favorite of all the photographers. You were amazing and you were able to capture the kids (and us) in such a comfortable and relaxed way. Thank You! The pictures taken on Costa Azul beach are AMAZING! We are so pleased with them. It was a pleasure to work with you. Thank you for your straightforward, no hassle website for booking the photo shoot. The process was so easy and I appreciate how responsive you were with my questions. 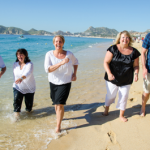 Our experience with Cabo Family Photography was excellent and we will (and have) recommended your services to friends who may travel to the Los Cabos area. 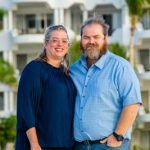 Danny and I wanted to thank you again for our wonderful photo session in Cabo for our engagement photos. We couldn’t be happier with our experience with you! The photos are beautiful! I love being able to see them online and on the mobile app. Thank you again for a lovely experiencce. 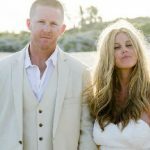 If we end up getting married in Cabo, we’ll definitely be giving you a call. We had a wonderful time even though our almost 3 year old had a melt down half way through our session. We received amazing photos and you handled the situation with our daughter with patience and understanding. 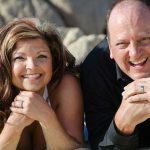 We would love to have you take our pictures again in the future! I received my photos about a week sooner than told and they are absolutely gorgeous! Really easy to download and view photos. Thanks and it was really nice meeting you! I was expecting a lot from you and you over delivered! You are amazing!!! Thank you so much for capturing a very important day in our lives! The pictures are amazing!! I will be calling you for our next event!!! Thank you!! Carmen mentioned to me that we were going to be doing a photo shoot with a photographer she contacted online in Cabo but I wasn’t too crazy about the idea or paying in advance. Once we started the vacation Bradley went out of his way and came to our resort to meet us and introduce himself. Once I met him and spoke to him I realized that he was a good professional photographer and he made me feel at ease. He also went out of his way and brought us to a spot he knew my wife would love and he also took the time to capture all the pictures my wife had in mind. He didn’t rush us and really took the time to capture the right shots. So let me just say I am so happy I trusted Bradley and went and did this photo shoot. Not only is my wife over the top excited and happy with the pictures, but so am I. The pictures turned out unbelievable. Every person we showed can’t even believe how good they look. Wow – we are SPEECHLESS!!!! Thank you SO MUCH! Thank you so much for making our day with you an awesome experience. From the time you picked us up to the time you dropped us off you made us feel comfortable and relaxed. The beach was beautiful and the pictures you took were amazing. Thank you so much for a wonderful photo shoot in Cabo. We really enjoyed our time with you. The pictures are wonderful. We are very pleased. Bradley was amazing. He made us both feel very comfortable and it never felt “fake” or posed. Very organic. He is very kind and thoughtful. He made us feel at ease before, during and after. The photos turned out better than we had expected and we will cherish them forever! Is there a question I haven’t answered? What things can I add? You are a member of what? Will you or someone else be our photographer? When will we get our photos and who owns them? What if I have some ideas for photographs? Does my retainer/payment guarantee my booking? All packages include beaches and fun! In three words…knowledge, experience and artistry. Would you trust your photographs to someone who lacks in any of these areas? Whatever photographer you choose, ensure that they have all of the above and that their style matches the artistic vision you have for your photos. My style is spontaneous, candid and photojournalistic, and your experience will be comfortable and fun. 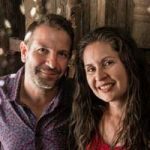 I am an active member of the WPJA-American Wedding Photo Journalist Association, Fearless Photographers and WPPI-Wedding and Portrait Photographers International. These associations set high standards for the “photo journalistic” style of photography. I will be your photographer. If you would like a second photographer, I have second shooters available. I can usually have your edited photos online in your private gallery within three weeks (based on my shooting schedule). You own all the best-of-best edited images copyright free. It is not about me, it’s all about you. I am open to all suggestions and requests. Yes it does. Once I receive a retainer or payment in full, I will follow up with a confirmation email. Please note that the only way to guarantee a booking is by paying the retainer or payment in full. Given demand, no dates can be held as ‘tentative’. I operate on a ‘first come, first serve’ basis . © 2016 All rights reserved. 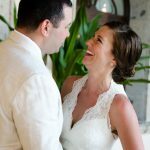 Cabo Family Photographers Inc.